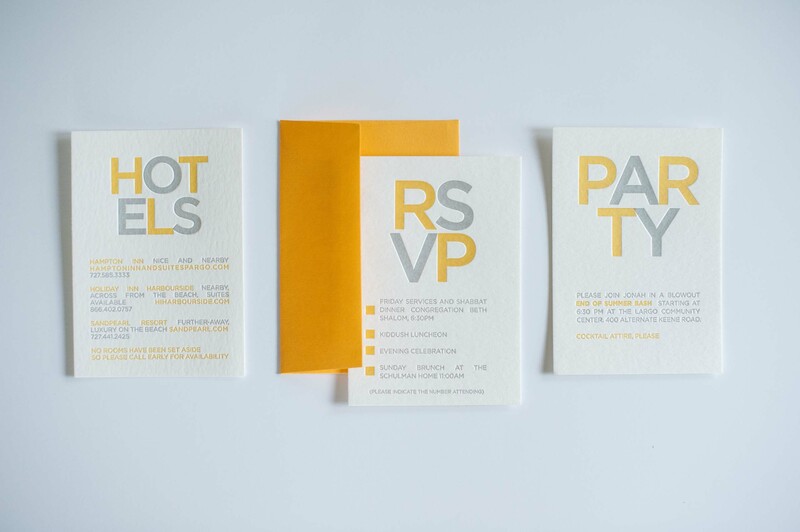 Life’s important moments come in a variety of flavors. 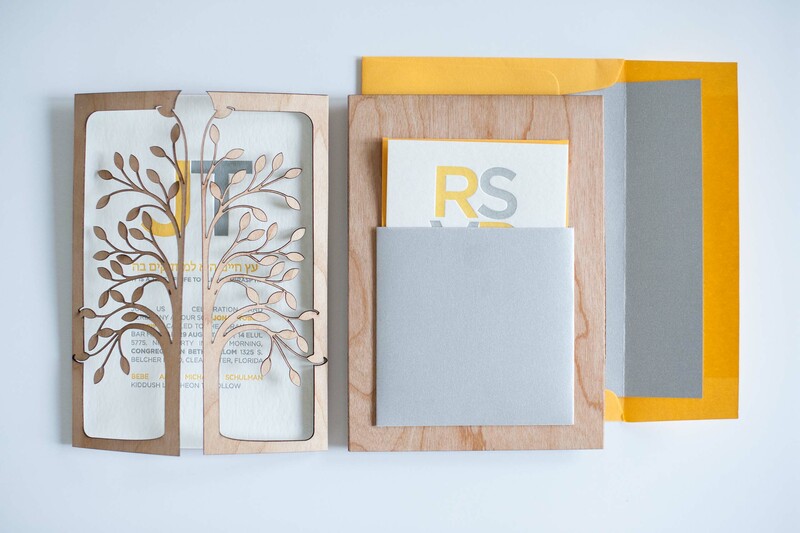 And getting to become a part of a client’s story, being trusted with one of their most important moments, is pure joy. 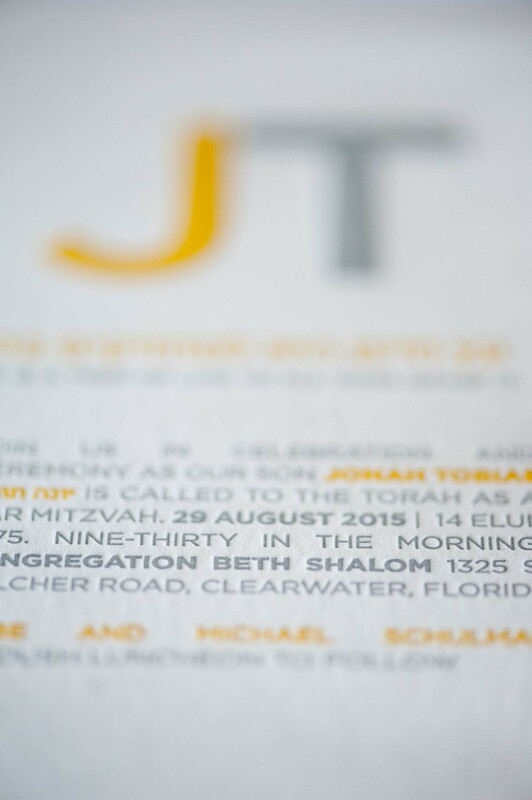 Bar Mitzvahs are one of my favorites – a chance to join a family as they usher their son into the next phase of his life. 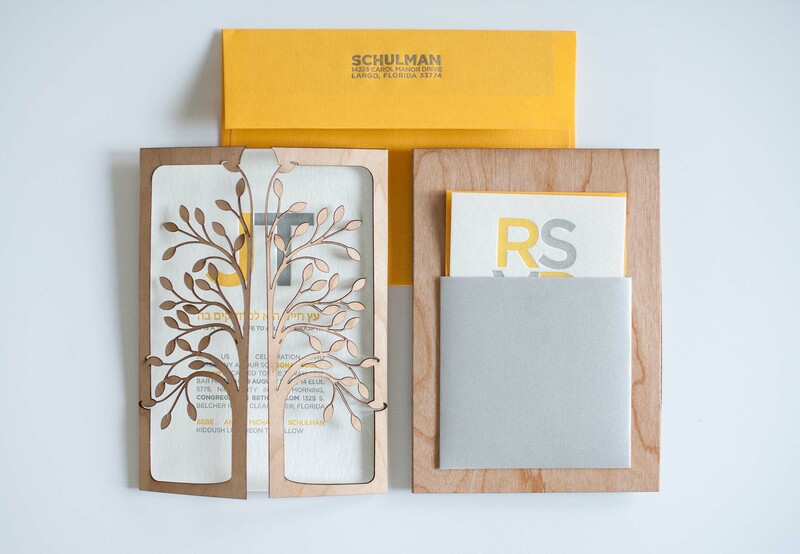 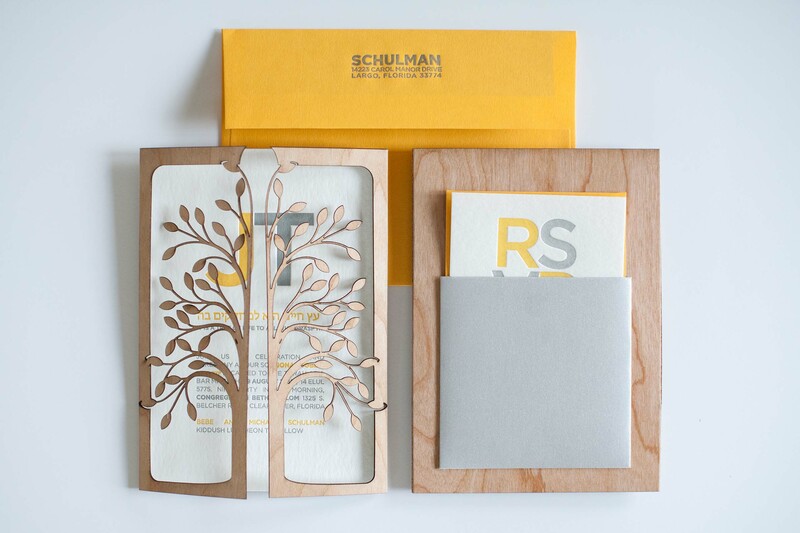 I was thrilled to be a part of the Schulman’s celebration with the creation of these letterpress invitations. 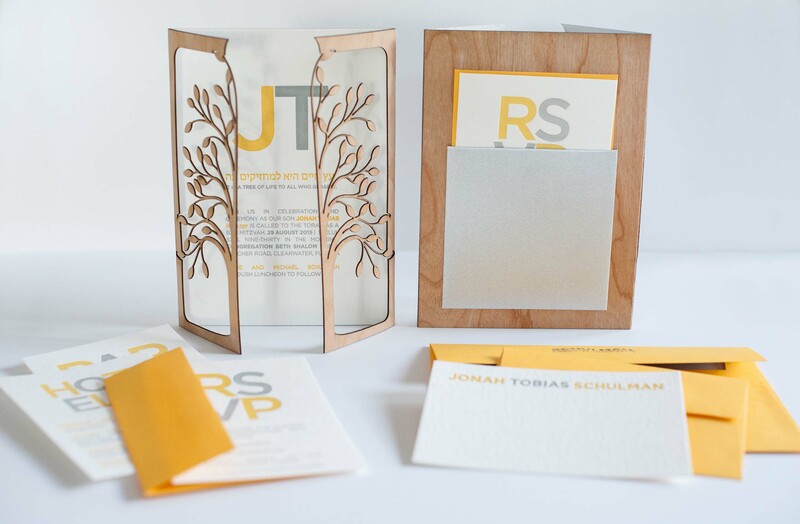 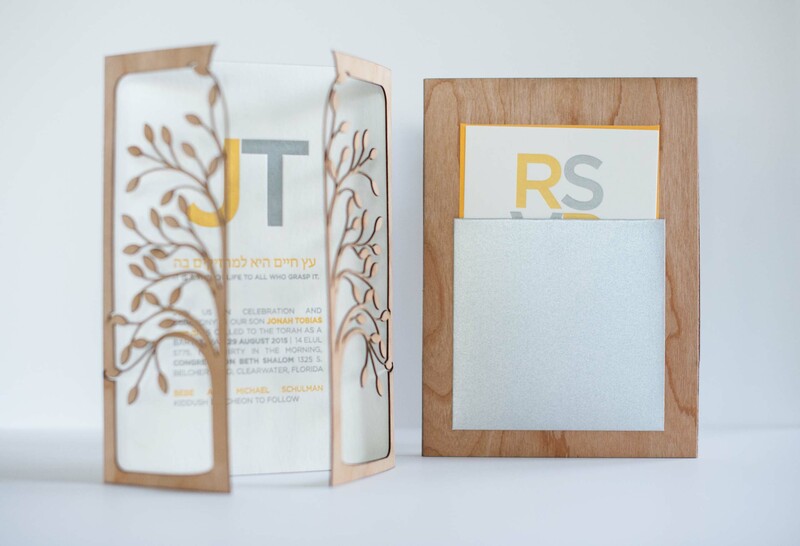 Central to the invitation is a hebrew phrase that translates “It is a tree of life to all who grasp it.” We reinforced this theme with a laser-cut wood tree of life gatefold. 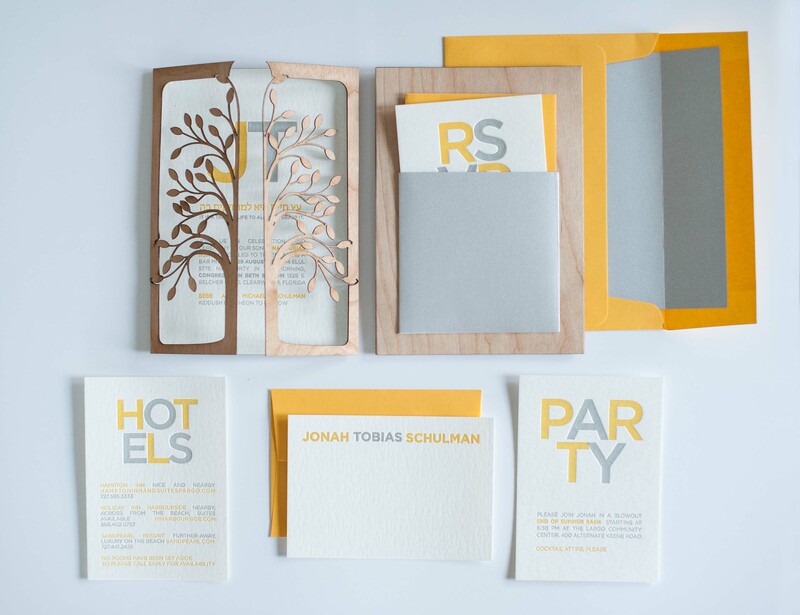 It was duplexed to a shimmery silver sheet to match the silver and citron letterpress printing. 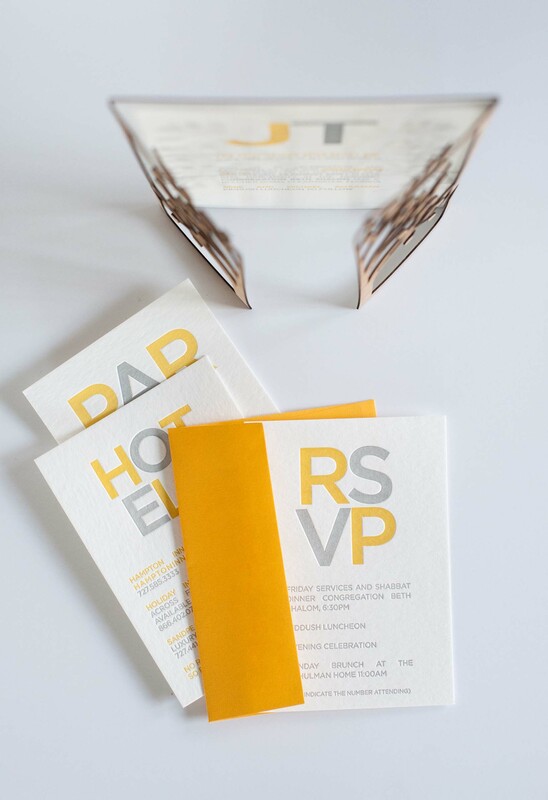 We rounded it out with silver lined envelopes and a silver pouch for the RSVP and enclosure card. 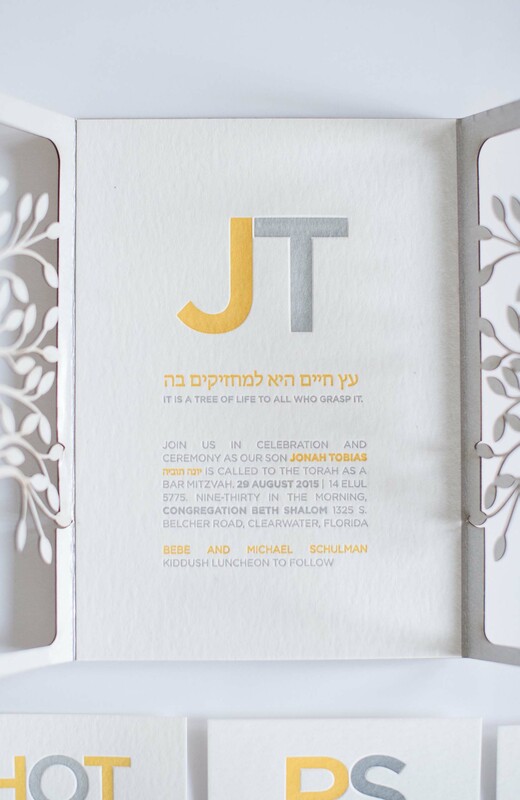 Starting at $64 per invitation.